The Production report allows you to assess the productivity of your farm, right down to each single income or expense item. This provides insight into how efficient each allocation of resource has been for the business. For example if you spent $60,723 on fertiliser for the year, which equates to $35.10 per hectare for 1730 effective hectares - could you spend more by increasing dry matter, or less on buying in supplement? 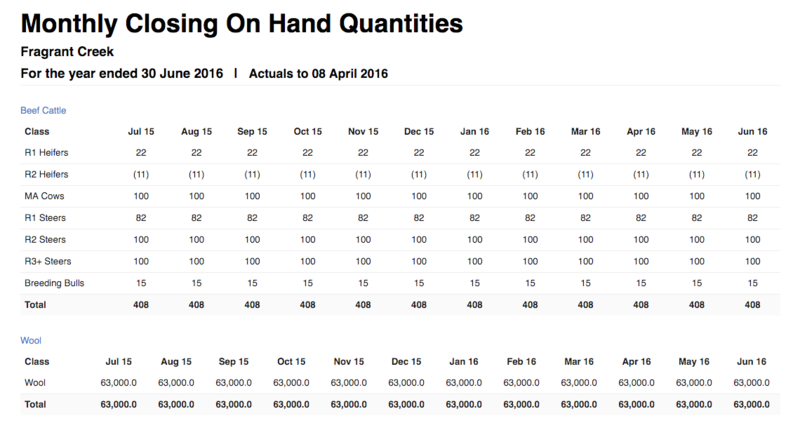 The production calculation report is an overview of all the sales and purchases per stock class, as well as production movements within a given year. Within these reports, you can view individual trackers, or you can consolidate trackers of the same type. 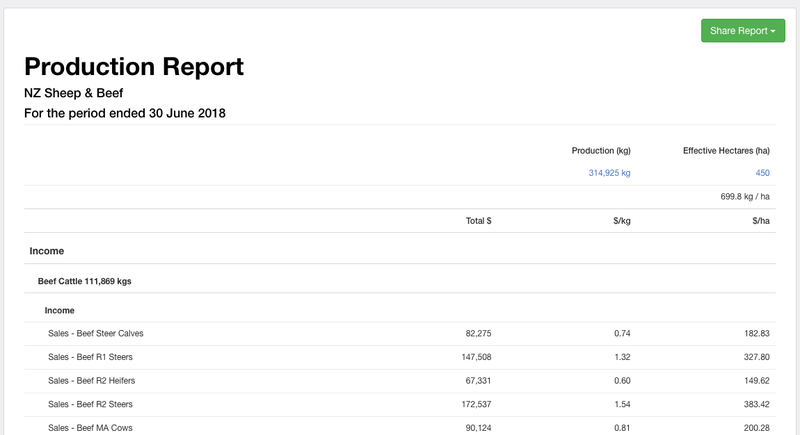 The tracker summary report shows your livestock reconciliation as per what you'd see in the production tracker itself, along with a summary of all sales and purchases. 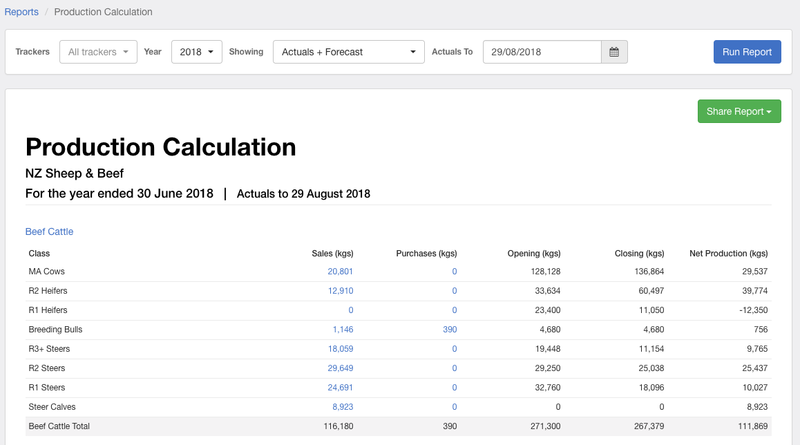 The tracker transactions report allows you to review all transactions and movements made within a tracker over a designated period. The tracker monthly report shows all livestock movements on an accumulative monthly basis, within a given year. The tracker movement report shows all livestock movements on a monthly basis, within opening, current and closing balances, within a given year.